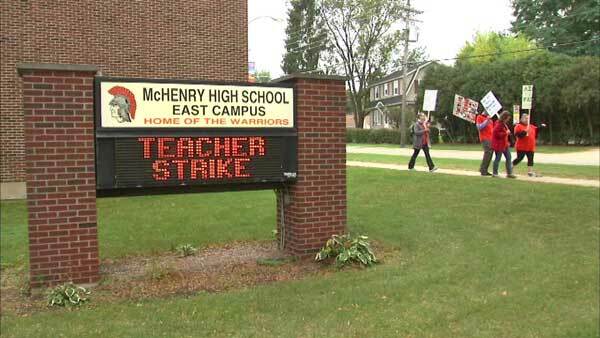 MCHENRY, Ill. (WLS) -- Teachers in McHenry County approved a new contract Monday, ending a strike that had kept thousands of students out of the classroom since October 1, 2015. Students will return to class on Tuesday. Over the weekend, negotiators reached a tentative deal between the teachers and McHenry District 156. It was approved Monday. At issue: salary and insurance benefits. During the strike, homecoming festivities, including the football game and dance, were postponed.